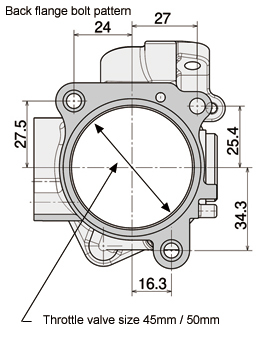 *S2000 throttle lever set is included (throttle body x 4 / 1 set, throttle sensor x 1, throttle sensor harness x 1). 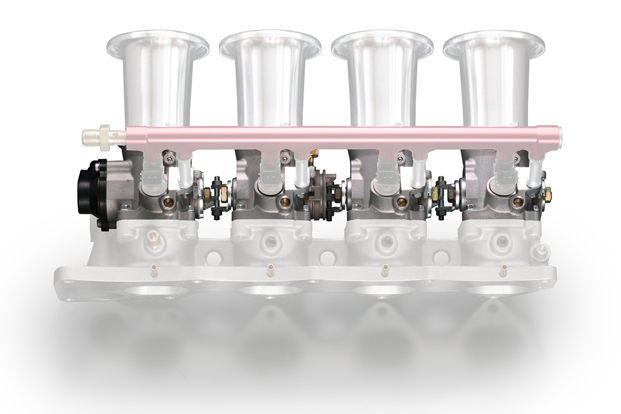 *Fuel delivery rail, trumpet, throttle wire stay, fuel rail stay, injector nozzle, and intake manifold are not included. 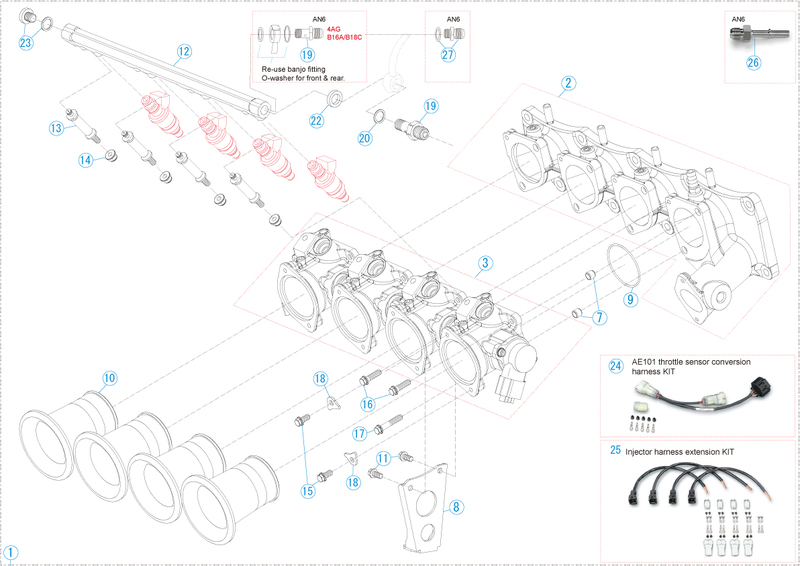 *AE86 (16V) throttle lever set is included (throttle body x 4 / 1 set, throttle sensor x 1, throttle sensor harness x 1). 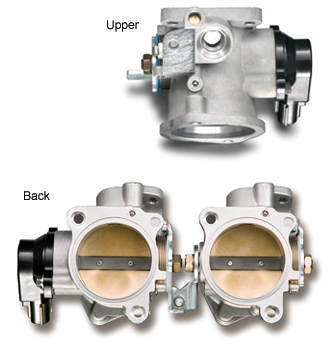 *TODA throttle body is based on TOYOTA AE101 manifold bolt pattern. 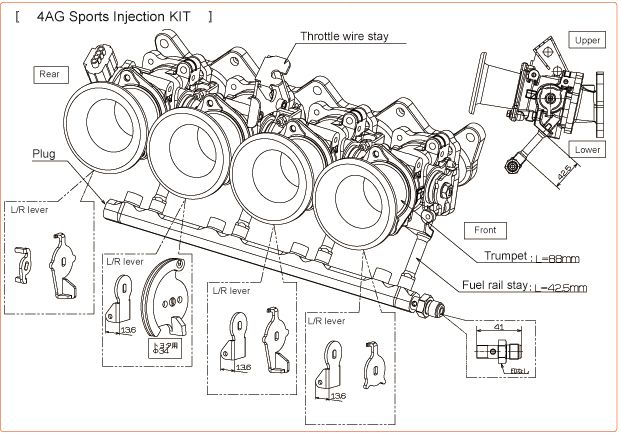 *Included into Sports Injection Body KIT. 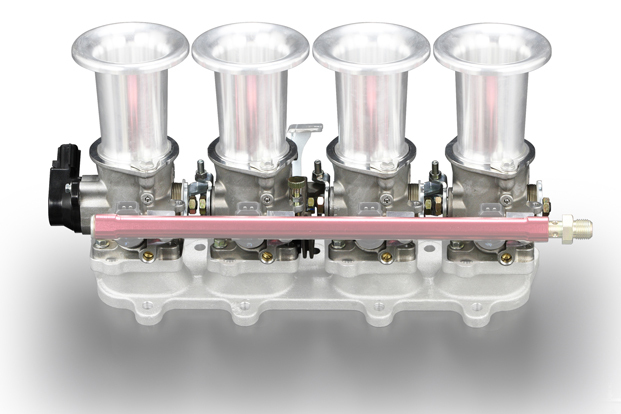 *NOT included into Sports Injection Body KIT.